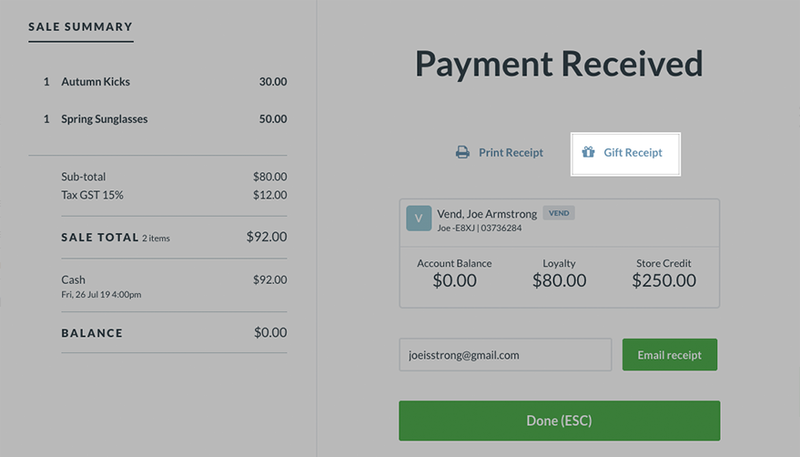 Give the Customer a Receipt – How can we help? 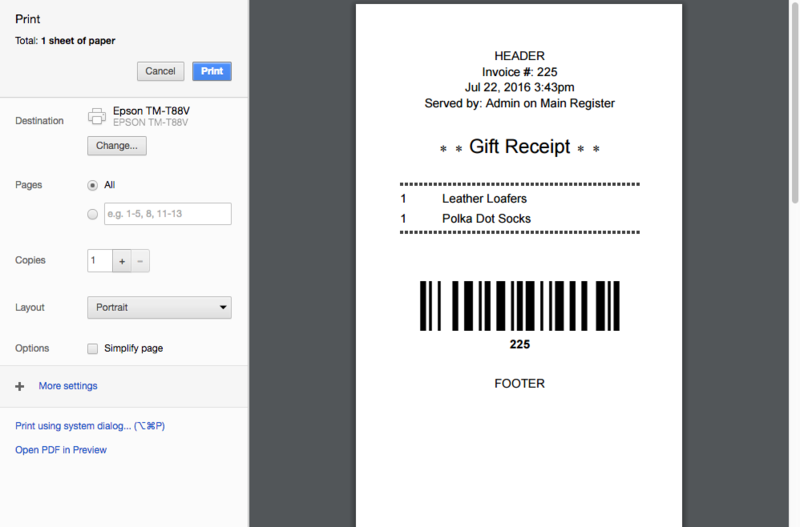 Depending on your store settings, once the sale is completed, you will be prompted to provide your customer with a receipt. This may be either a printed or emailed receipt. You may also provide your customer with a gift receipt if they are purchasing a product as a gift for someone else. 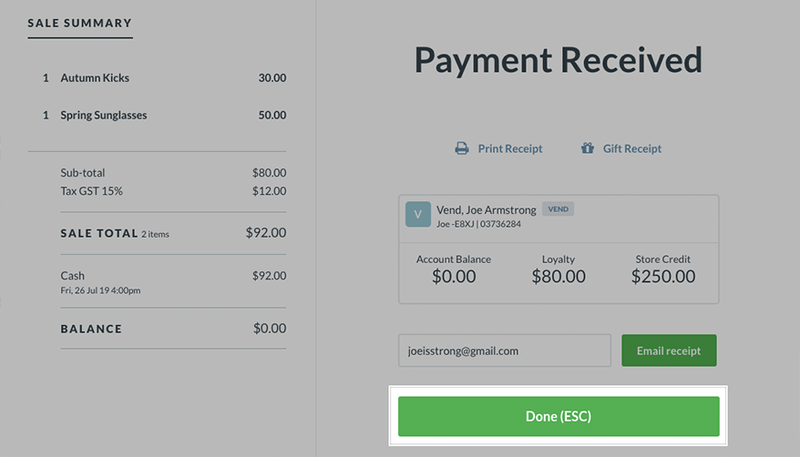 If the current register you are using is set up to print receipts, the receipt will automatically be printed after taking payment and hitting the Complete Sale button.